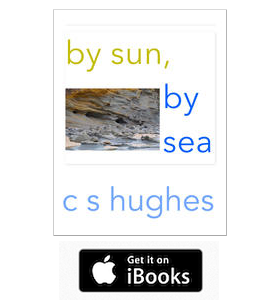 The first in a series of digital ‘Flick Books’, Something Blue by C S Hughes, a Flick The Pages Quick! 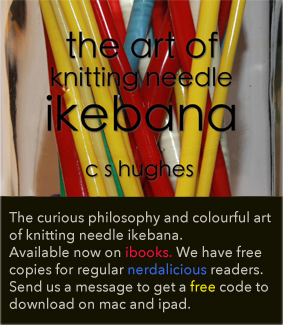 Book, is now available in the iBooks Store. Something Blue, features a squishy blue monster that gets bigger and bigger, as you flick rapidly through the iPad pages. The images are accompanied by a rhyme, which, according to the author, is what might have happened if Edgar Allan Poe and Doctor Seuss got together and wrote a rhyme about a horrible blue monster. The book also takes advantage of the iBook’s media rich platform, and features animation, as well as various hidden ‘Easter Egg’ sounds, if pages are pressed in the right place. Although meant for 4 to 8 year olds, several parents have also been observed giggling at Blue’s antics. Today is Roald Dahl Day! I thought this would be a good day to show off the latest Roald Dahl in my collection, a 1978 impression of the first British edition of Fantastic Mr. Fox, illustrated by Donald Chaffin. Gal and Deirdre have forgotten something. something really, really important. When her grandmother dies, Deirdre is left alone in a crumbling block of flats. Looking out the window one misty night, she sees a boy who seems familiar. Together, he and Deirde must discover the secret of the old building, before it collapses and the secret is lost forever . . .
Deirdre and Gal have been friends for a lifetime. Brought together when they were five, they instantly developed a bond, a friendship that is tested sorely over the course of their tale, a bond broken and battered and reforged, like a magical sword from a medieval tale. When Gal finds Deirdre in the crumbling ruins of the once-grand Corbenic, he has gone to claim her. But perhaps it is Corbenic that will claim them both. This is my small collection of Enid Blyton biographies. I also have two biographies written for children by her daughter Gillian, and an autobiography published in 1952, The Story of My Life. For one of the world’s most famous and prolific authors it may not seem like a lot, and it really isn’t. Why is that? I think there are two reasons for this. Firstly Barbara Stoney’s Enid Blyton – A Biography is considered the definitive biography, and deservedly so. Secondly there is a complete lack of personal papers to investigate much further. It’s likely everyone who has researched Enid Blyton had used this biography as a reference book. If you are interested in reading a factual account of Enid’s life then this is the book you need to begin with. I was in a Salvation Army shop a few months back looking at some Enid Blyton books that were locked in the display cabinet. A young lady was serving me while I flipped through the stack (muttering the inevitable “got it, got it, got it”) and attempting to to strike up a conversation. I told her something about having a large collection of Enid Blyton books, but I was rather distracted as I usually am when looking at books and was talking to her with my head down. I was still looking down when she asked me if I had seen the movie on Enid Blyton, to which I replied was something along the lines of “rubbish”. I had to smile at her, seeing the relief emanating off her in waves. She has since, any time she has been working when I visit that shop, pointed out when they have new Enid Blyton books. I wonder if she is grateful that someone wiped the slate clean for one of her favourite childhood authors. Enid Blyton would have certainly disagreed with him, on both points. During the second World War publishing houses were subject to strict paper rationing, and despite her books being printed by more than a dozen publishing houses at the time, they were selling out in a matter of weeks. When inundated with letters from readers telling her they were unable to obtain copies of her books, her advice was to borrow either from friends, or from their local library. I am still suffering some severe Hobbit-fever. Of course January usually begins with Tolkien for me, and I’ve finished my yearly read of Lord of the Rings and The Hobbit. This year for the first time I’ve gone straight into further reading, and a few days ago I finished reading The Silmarillion for the first time in many, many years (and seemingly no less difficult than the first time I read it). Last year I painstakingly collected the massive 12-part-plus-index History of Middle Earth, plus the two-part History of the Hobbit to add to my collection. After checking out an article from the Tolkien Library on Recommended Reading Order I’ve decided to continue on with Unfinished Tales and The Book of Lost Tales part One and Two for this month. Italy, 1453. Seventeen-year-old Luca Vero is brilliant, gorgeous—and accused of heresy. Cast out of his religious order for using the new science to question old superstitious beliefs, Luca is recruited into a secret sect: The Order of the Dragon, commissioned by Pope Nicholas V to investigate evil and danger in its many forms, and strange occurrences across Europe, in this year—the end of days. We found these little treasures on a book hunting trip today. Actually, Craig found them, the scoundrel. I was clutching a rather large haul of children’s books and feeling pleased with myself when Craig appeared with these two tiny books.